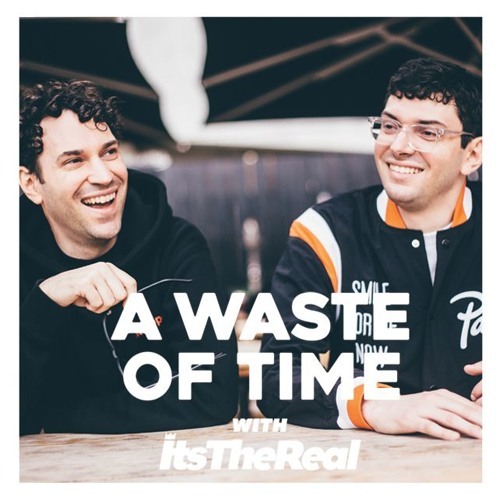 This week on A Waste of Time with ItsTheReal, we welcome Founder and Co-CEO of Cornerstone and Co-Founder of The FADER Rob Stone to the Upper West Side! Rob talks growing up on Long Island, spending his summers loading and unloading trucks with his father in East New York, attending University of Albany, throwing parties, getting diagnosed with cancer at 19, leaving school, getting into fighting mode, and how hip-hop got him through his radiation treatments. We discuss graduating college only to sell bracelets and run from cops at Jones Beach, becoming an assistant at SBK Records, learning record promotion, taking a job at Clive Davis' Arista Records, overseeing the marketing and promotion for Bad Boy Entertainment and LaFace Records, and the one reason he refused to take a huge job at Motown Records. Rob dives into what it took to co-found music and marketing agency Cornerstone with lifelong friend Jon Cohen, the most important relationships he made along the way, and how they made DJs the centerpiece to both their marketing strategy and the creation of The FADER. We get into what it meant to build his own brand, what it meant for his father to see it happen before he passed, and what it means to show his twin sons. All that, plus great stories about Biggie, Puffy, Kanye, Pharrell, Jonathan Mannion, Drake, Lyor Cohen, Andre Harrell, Mariah Carey, Steve Rifkind, Hot 97's Steve Smith, Dave Mays of The Source, Sprite, Converse, FADER Fort and so much more! the only thing wrong with this episode is that it wasn't longer. great job fellas. one of the best eps !! !